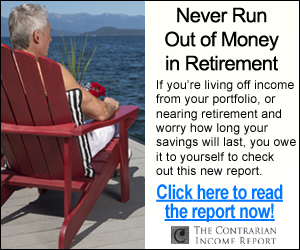 Are you looking for that “sweet spot” retirement investment that combines growth tomorrow plus dividends today? If so, let’s talk about a tech megatrend that’s powering a payout with 546% upside. 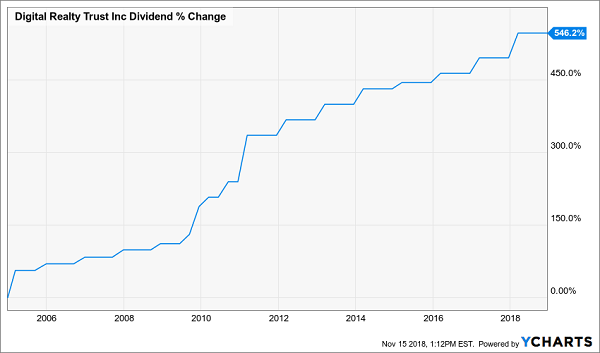 For this type of dividend growth, we must consider huge breakthroughs, like the Internet of Things—another name for the millions of devices (from your home thermostat to industrial sensors) hooking up to the web every year. But hands-down the most important disruptor of all, from a dividend standpoint, is artificial intelligence (AI), the move toward “thinking” computers. That’s because AI is the one revolution that’s baked into just about every tech advance you can imagine, making everything from cybersecurity defenses to self-driving cars faster, smarter every day. Before you roll your eyes, let me tell you this: AI is already a huge source of dividends, and it will only line our pockets with more cash in the future. Now, I know you don’t often hear “artificial intelligence” and “dividends” in the same sentence, but hear me out. Because there are billions surging into this technology as I write—and you can grab your share safely, through a large and growing dividend payout, just like the lucky investors in the 3 stocks I’ll show you in a moment. Geek that I am, I could go on about AI all day. But I don’t want you to nod off, so let’s get into how we’re going to grab our slice of these billions. So here, from worst to first, are my top 3 AI dividend plays now. AI needs a massive amount of computing horsepower and reams of data to work its magic, and you can already see that demand playing out at Intel (INTC). The company’s hardware for data centers—the maze of servers that companies use to store and analyze vital customer data every day—is flying out the door. 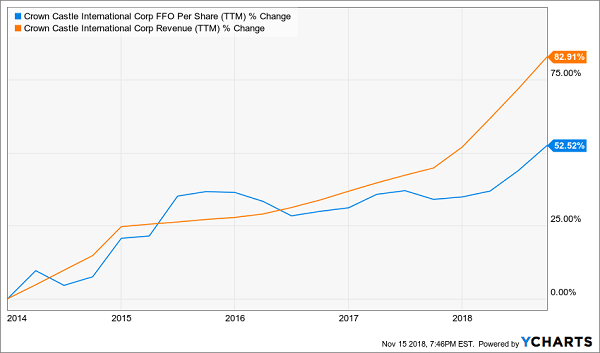 For proof, look no further than the third quarter, when Intel’s data-center group (including its Xeon scalable processor, custom-made for high-demand apps like AI) took off, setting record sales that surged 26% from a year ago. 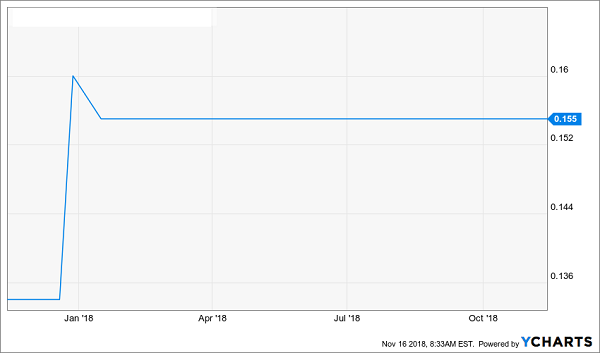 Now is a terrific time to buy: thanks to this fall’s “tech wreck,” this top-notch AI play trades at a silly 10-times earnings, well below the 13-times you’d have paid in June. The kicker? The payout eats up just 38% of cash flow, making it one of the safest dividends on the market—and practically locking in another big hike this January. No doubt Intel is at the heart of the AI revolution, but a safer way to play earth-shaking trends like this is through Crown Castle International (CCI), a “pick-and-shovel” play on AI. CCI fits that description to a T: it’s a real estate investment trust (REIT) with 40,000 cell towers and 65,000 miles of fiber-optic cable across the US. That makes it the backbone of AI, the Internet of Things and just about every other tech trend you can imagine! And if you’re looking for predictable dividend growth, CCI is for you. 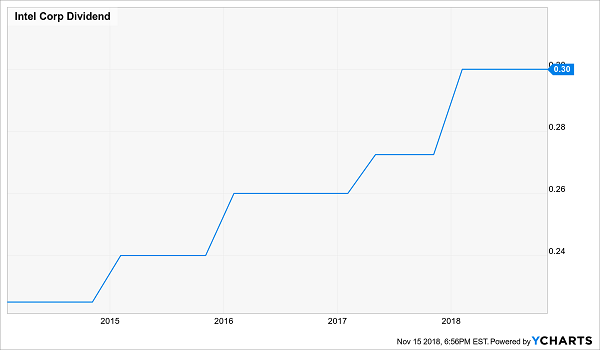 Management has a stated goal of growing the dividend, which yields 4% as I write, by 7% to 8% a year, and it’s easily clearing that bar. So why isn’t CCI my top AI pick? For one, it’s a bit pricey for my taste, at 20-times forecast 2018 FFO. 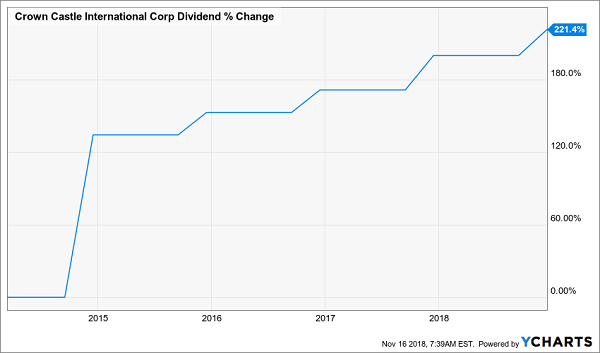 Second, we want stocks with long dividend histories, and CCI has only been making payouts since December 2014—not nearly long enough to see if management has the chops to stick keep the payout coming in a crisis. The best part? The dividend! DLR yields just under 4% now, but the real story is its explosive payout growth: up 546% since its IPO 14 years ago! I fully expect the chart for the next 14 years to look a lot like the chart for the last 14. And as I’ve written before, a rising dividend is the No. 1 driver of share prices, so you can expect this unsung company’s stock to ignite in short order, too. 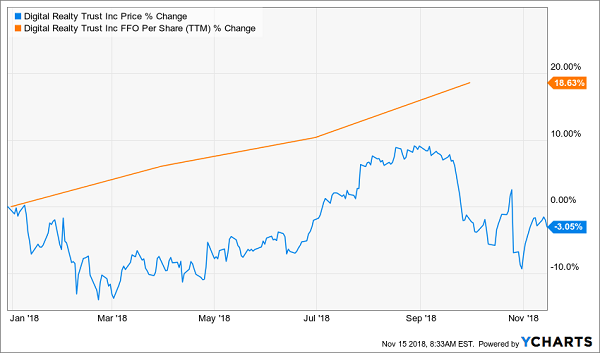 We can thank overhyped fears that rising rates will hurt REITs (a worry that’s easily banished by the orange line in the chart above) for this split, which has left DLR trading at a bargain 17.3-times trailing-twelve-month FFO. I wouldn’t wait to grab this one. With another big payout hike almost certainly headed our way this winter, I expect DLR’s share price to start gapping higher soon. 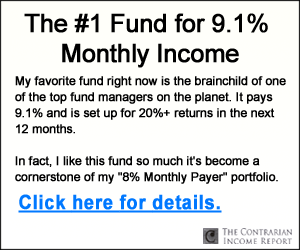 My team and I have zeroed in on 4 other investments pay an average 8% cash dividend as I write. 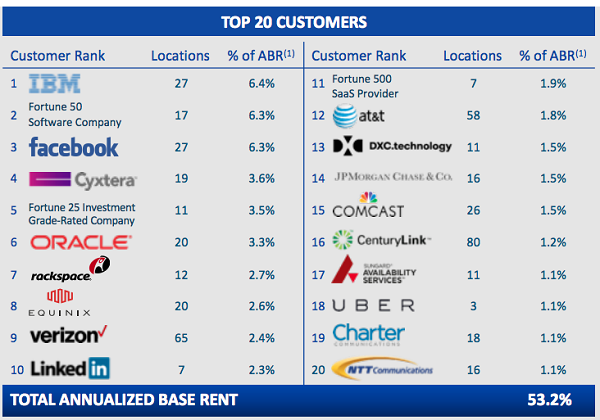 That’s double what Digital Realty pays … and these 8%+ payouts are growing, too! Think of what that could mean for you: $8,000 a year in dividends on every $100k invested. That’s 4 TIMES what you’d get from the average S&P 500 stock’s payout. Plus, your cash stream grows every year like clockwork! Why? Because they “convert” the pathetic dividends on your typical S&P 500 stock into gigantic cash payouts. To show you what I mean, consider my No. 1 pick from this 4-pack of “dividend conversion machines.” It takes the 2% average dividend you’d get from well-known stocks like NextEra Energy (NEE), Union Pacific (UNP) and American Water Works (AWK) and “converts” it into a massive 8.6% cash payout! As I write, thousands of folks across America are quietly collecting big dividend checks from these 4 ignored investments every single month. And you can join them today. Buying in couldn’t be easier: you can do it straight from your online brokerage account, just like buying the blue chips you know well. But instead of their paltry sub-2% dividends, you’ll kick-start your own 8%+ cash stream! Best of all, we’ve got these 4 breakthrough buys pegged for massive price upside, too. I’m talking 20%+ gains, on top of those massive dividend payouts. So you’d be set up for $20,000 in gains, plus your $8,000 in dividends, just 12 months from now. Don’t miss out. Click here and I’ll share all the details with you, including everything I have on these 4 Dividend Conversion Machines and how to start their 8%+ payouts flowing into your account now.